Everyone thinks they have great customer service, but can you prove it? A ten-minute-long customer survey might suggest that the survey takers are satisfied, but who is most likely to actually give you ten minutes of their time to fill out a survey? If you’re only talking to and hearing from good fit customers, then your results are going to be skewed. And unreliable results mean you don’t have accurate, measurable, actionable data. Net Promotor Score (NPS) is the solution. [0:44] Question: What is NPS and When Should You Use It? NPS is a proxy for overall customer satisfaction and brand loyalty. NPS measures the willingness of customers (or employees) to recommend your product/service/presentation to a friend or colleague. You can also use NPS to measure how effective an event or campaign was. NSP can also be applied internally to determine your ENPS (Employee Net Promotor Score). NPS is a scored on a scale of 1-10. Respondents are asked how likely they are to recommend on a scale of 1-10 with 0-6 being detractors, 7-8 is passive, and 9-10 are promotors. When calculating you determine the number of total respondents and the number of respondents in each category. You then determine the percentage of each category. Next, you subtract the percentage of detractors from the percentage of promotors. For example, you survey 10 people and 7 were promotors, and 3 were detractors. So, 70% were promotors, and 30% were detractors. 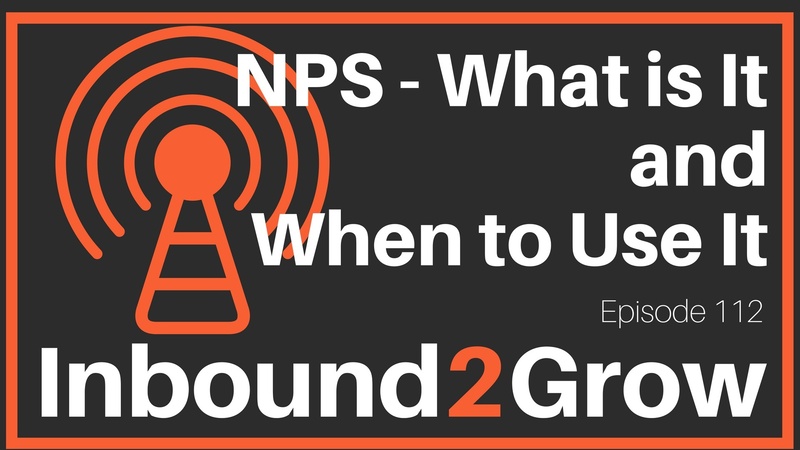 There is a lot of power in knowing your NPS. In our connected world, the experiences of other people have a huge amount of influence on where we shop, what we buy, and how we spend our money. With so many choices at our finger tips user reviews, recommendations, and word of mouth make a big impact on our decision-making process. NPS helps you understand how many of your customers are out in the real-world advocating for you. Your customers should be your best sales people. Measurable trust! NPS allows you to measure trust and prove that your customers trust you. “Meh” doesn’t work anymore! From now until the end of August we are holding an MSPOT contest! You can already download the MSPOT template and submit it for review, but from now until the end of August anyone who submits an MSPOT will be entered into our contest. The first place winner will win an hour to review their MSPOT with Todd and Dan!